Les Miserables Ultimate mga panipi. 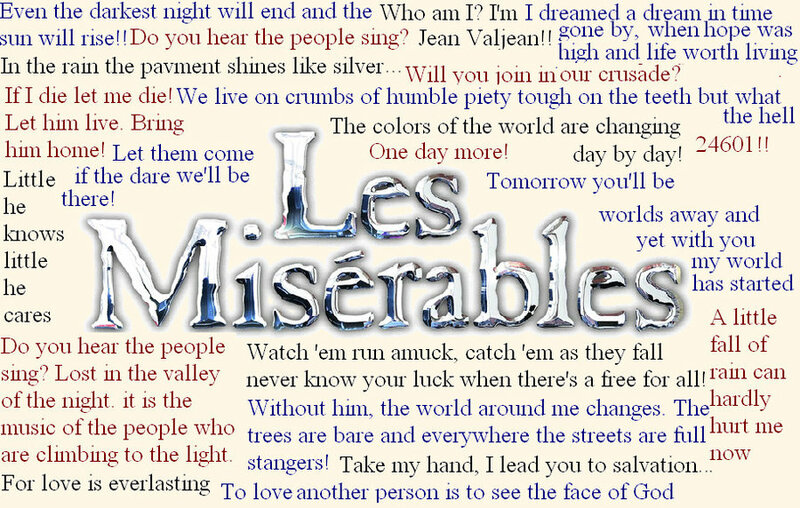 Tjis picture has all of my paborito mga panipi from Les Mis, including "Even the darkest night will end and the sun will rise" and "To pag-ibig another person is to see the face of God". 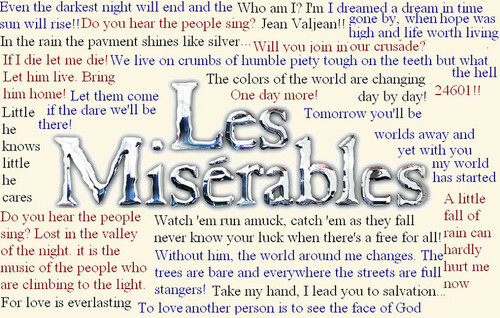 HD Wallpaper and background images in the Les Miserables club tagged: les misérables movie 2012. This Les Miserables photo might contain anime, comic book, manga, and cartoon.